The RA Ministry of Education and Science summed up the results of its Best Student nation-wide competition yesterday. RA Minister of Education and Science Levon Mkrtchyan greeted the students and granted their awards. The annual competition also serves as a way for the government to reveal and encourage the best students and help them grow as professionals. The students passed two stages. The first was held within universities. 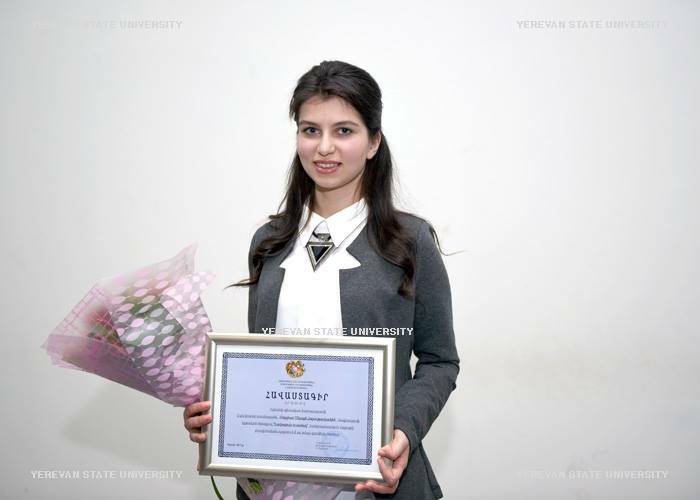 Each university had submitted to the RA Ministry of Education and Science the documents of the winner of the first stage from the Bachelor’s Degree and Master’s Degree Programs, according to spheres. The second stage was held by a commission established upon the executive order of the RA Minister of Education and Science. The competition was held in the following areas: natural science, medicine, humanities, social studies, engineering, Armenology, culture/sports. To win the competition, the students of various universities had to not only have outstanding performance and be socially active, but also be involved in academics. On February 11, the Armenian Apostolic Church is celebrating the day of Saint Sarkis the Warrior, His Son, Mardiros and the 14 soldiers. Every year, the faithful of Akhaltskha region travel nearly 4 kilometers to visit the St. Sarkis the Warrior Chapel, which is located next to the Holy Cross Church in Sazel village. The holiday is especially a joyful holiday for young Armenians who very often head towards the St. Sarkis the Warrior Chapel in groups and with their classmates, and this has been a folk ritual in Akhaltskha for a long time now. On the occasion, a Holy Mass was served, and the celebrant was pastor of Akhaltskha and the nearby villages, Fr. 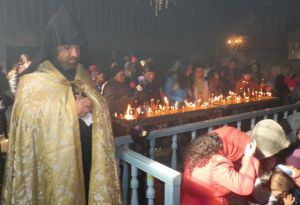 Priest Torgom Vardanyan at Holy Cross Church in the Sazel village of Akhaltskha. His Holiness and Fr. Torgom interpreted the symbol of the day for the faithful and congratulated them. At the end of the Holy Mass, Spiritual Superintendent of Akhaltskha, Fr. Friar Hakob Sahakyan and the celebrant performed the blessing of youth. Despite the cold winter, the House-Museum of Jivani continues to host visitors and convey the warmth that was characteristic of the troubadour. Today, it is a pleasure to state that there are visitors from quite a lot of countries around the world. Lebanese-Armenians recently visited the House-Museum of Jivani in Kartsakh. During their visit, they mentioned the following: “We were very impressed with the museum in Kartsakh where the items were sorted properly, interestingly and meticulously. The life of Jivani was presented in a very interesting way. We received great explanations and got to know Jivani up close. We hope many people visit this museum,” writes javakhkmedia.com. The guests left with great impressions and promised to return with a larger group in the spring. 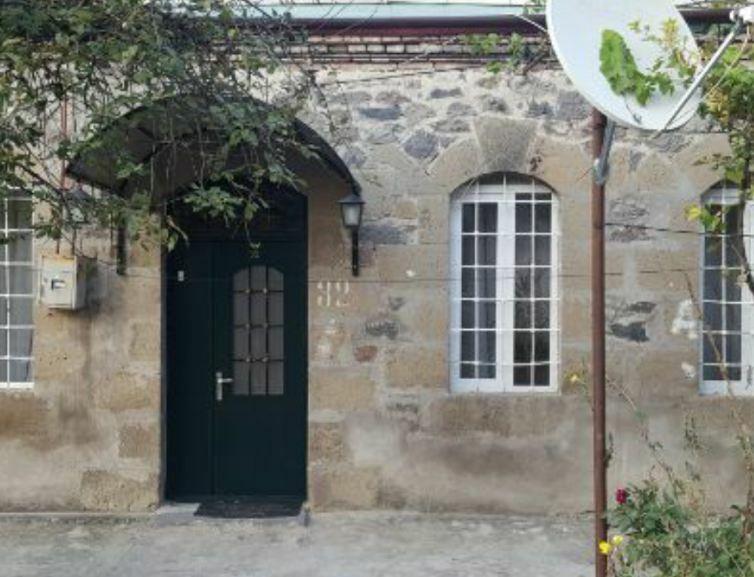 The house of great Armenian painter Vardges Surenyants in Akhaltskha is on sale. According to the homeowner, he has preserved the former look of Vardges Surenyants’s house and has not renovated it since he still believes there will be people who will want to purchase Surenyants’s house and turn it into a museum. Vardges Surenyants’s house has five medium-size rooms and a small garden in the back of the house. Currently, the house is on sale for $90,000 dollars. On August 1, 2009, a plaque dedicated to the memory of great Armenian painter Vardges Surenyants was unveiled on the wall of the painter’s house in Akhaltskha. The event dedicated to the painter’s 150th birth anniversary and the unveiling of the plaque were organized by businessman Sos Sahakyan, who lives in Armenia and is originally from Akhaltskha. Vardges Surenyants was born in 1860 to a family of a clergyman in Akhaltskha. He received his primary education at the Lazaryan College, after which he continued his studies in the department of architecture of the highly reputable school for painting, sculpting and architecture in Moscow. He started pursuing his career as a painter at the imperial academy in Munich. Representatives of the city council of Akhaltskha participated in the discussion on the city’s budget for the year 2017. Among the representatives of Armenia organizations were the founder of the Democratic Union of Nations of Georgia Ashot Kavaleryan and Director of the Media Analysis Center of Samtskhe-Javakhk Eduard Ayvazyan. The discussion began with a speech by Head of the Sacrebulo of Akhaltskha Davit Lomidze. “The regional development foundation has allocated 2,250,000 Laris and has distributed the funds to solve issues in various sectors, including infrastructure projects and social programs. 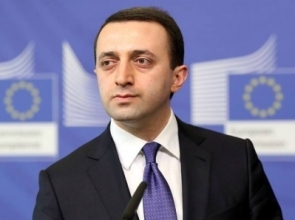 As far as the sacrebulo’s budget is concerned, we reduced it by 126,000 Laris and immediately allocated it for the implementation of infrastructural projects,” head of the city council Davit Lomidze. After being introduced to the draft of the city’s budget, the participants of the meeting expressed their views on the budget. The attendees said it would be nice, if the city solved the issues related to stray dogs, public restrooms, the renovation of the local cultural center, public transportation and the wrongly placed road signs. According to Davit Lomidze, the budget for the year 2017 in Akhaltskha will make up nearly 7,900,000 Laris. According to the draft, administrative expenditures have been reduced by 798,200 Laris. 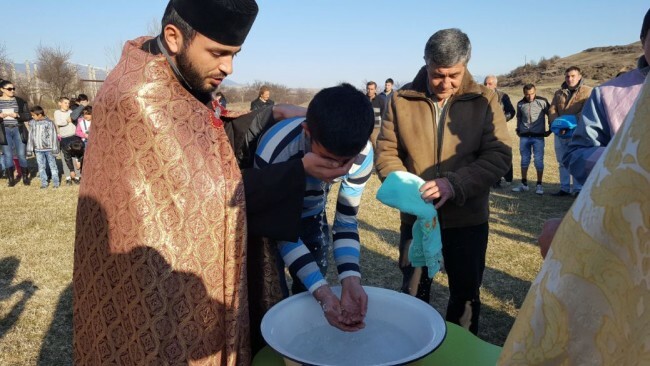 At the initiative of the Spiritual Superintendents of Akhaltskha, members of needy families of Akhaltskha were baptized during a collective baptism ceremony held in the Second Shakht residential district of Akhaltskha. There were nearly 20 people baptized, including a child of Os descent. The ceremony was followed by a short concert organized by the choir of the local church and the schoolchildren of Second Shakht. After the baptism ceremony, all the attendees tasted the sacrificed lamb, and the needy had a chance to take pieces of the sacrificed lamb to share with their families. The ceremony of sacrificing of lamb was sponsored by Hovhannes Grigoryan, who had granted seven lambs to the spiritual superintendents of Akhaltskha for the baptism ceremony and sacrificing of lamb. Spiritual superintendent of Akhaltskha, Fr. Friar Hakob Sahakyan and Fr. Priest Torgom Vardanyan explained the sacred symbol of the Baptism to the baptized in detail. 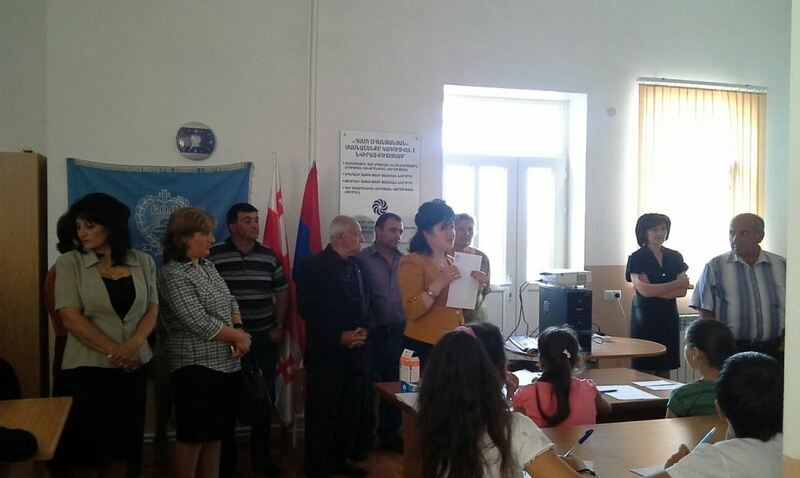 ARS Georgia held the already traditional creative essay contest at the Armenian Youth, Educational and Cultural Centers in Akhalkalak (24 June) and Akhaltskha (26 June). The schoolchildren of the Ninotsminda district were also participating in the contest in Akhalkalak. Overall, there were 122 participants, including schoolchildren representing the corresponding groups of the Youth Centers. The topic of peace was current. The proposed titles corresponding to the title were related to peace and independence. The titles “Victory Flag”, “Sing Lark Farms of the Sunrise”, “My Brother: Soldier and Supporter of Peace”, “Words of Love and Solidarity” were the more common ones. The results of the contest will be announced in a couple of days. 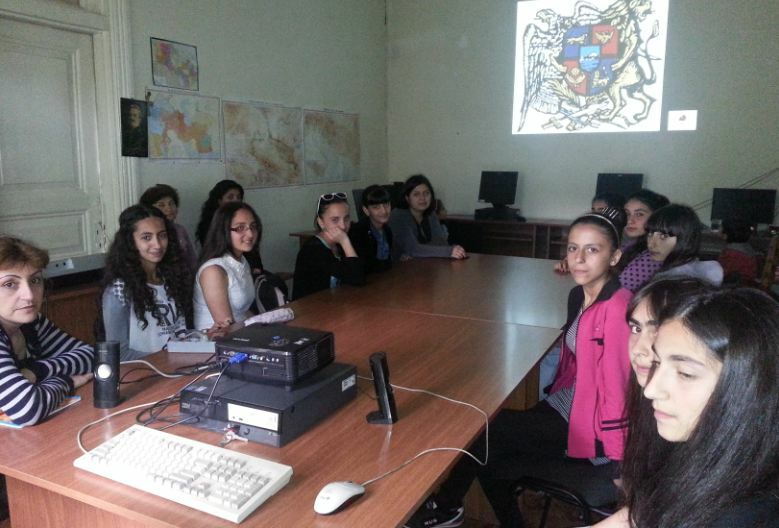 On the same day, alongside the June 26 essay contest, ARS Georgia held an Armenian History Contest entitled “The Geography of My Birthplace” at the Armenian Youth, Educational and Cultural Center of Akhaltskha. 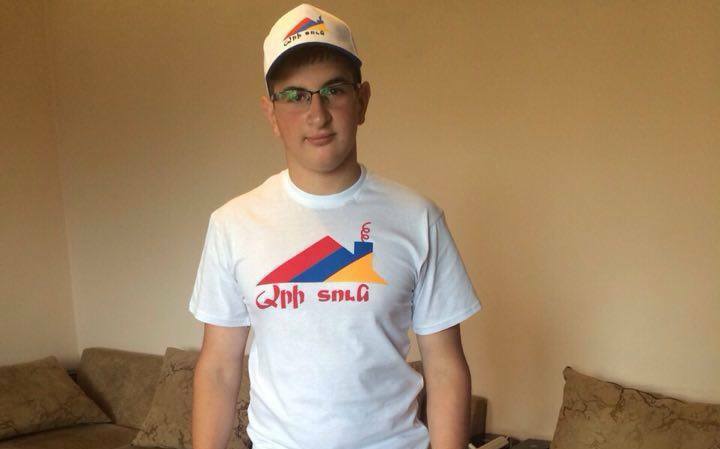 “There is always an Armenian environment in my hometown of Javakhk. There are many Armenians around us. The community holds different kinds of programs for national preservation, and we celebrate all Armenian national holidays. This helps us youth grow up as Armenians,” participant of the “Ari Tun” Program Gevorg Grigoryan said in an interview with Hayern Aysor, adding that the community always holds the Torch-lit March commemorating the canonized martyrs of the Armenian Genocide every April 23rd with great excitement and that all the Armenians of Javakhk participate in the event. Gevorg’s roots trace back to the Erzerum city of Western Armenia. His forefathers escaped the Armenian Genocide and settled in Akhaltskha. The cruel story of his forefathers was the reason why he started gathering details about the Armenian Genocide. He reads relevant books and watches documentary films to enrich his knowledge.